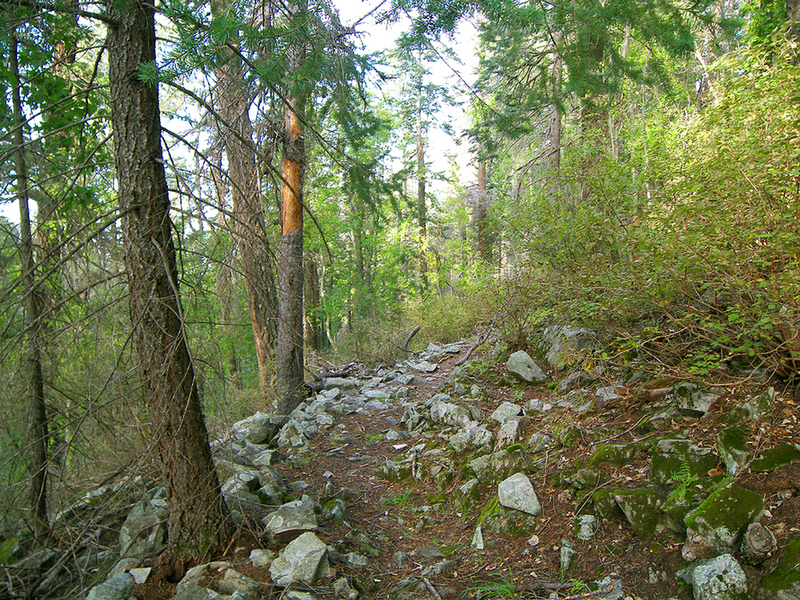 This abandoned trail on the north side of Heliograph Peak may have been an old segment of the Arcadia Trail, or possibly a remnant of the historic logging operation at Shannon Park. This is not a destination hike, but rather an alternate route that can be explored while hiking the Arcadia Trail. Points of interest on this hike include scenic overlooks of rugged Marijilda Canyon, and a short riparian stretch below Shannon Park. Some route finding ability is required, but overall this old trail is in decent shape. At the trailhead at the end of the road in Shannon Campground, there is a restroom. The signed Arcadia Trail takes off to the right of it, while this hike follows a faint trail to the left of it. Follow it down canyon. It soon becomes apparent that you are following an old road, as you hike through the tall conifers and lush ground cover along Marijilda Creek. This peaceful little stream races through a typical alpine riparian area here, with the usual large, leafy plants and alder thickets. 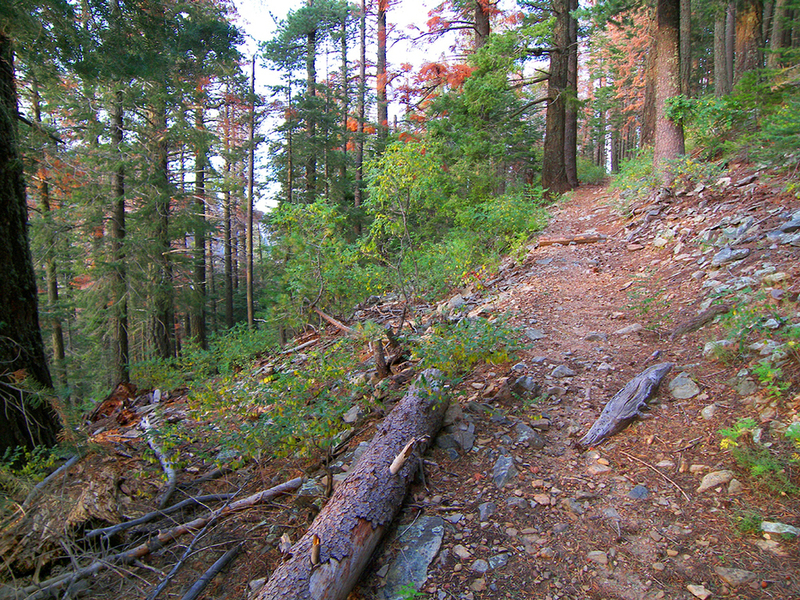 About 0.25 miles in, the trail begins to contour along the south slope of the canyon, away from Marijilda Creek. Stacked rocks hold the trail in place and mark the occasionally overgrown and washed out route. A short distance later, the trail offers up a view of the rugged walls of Marijilda Canyon, as it rounds a corner into a deeply shaded side drainage. 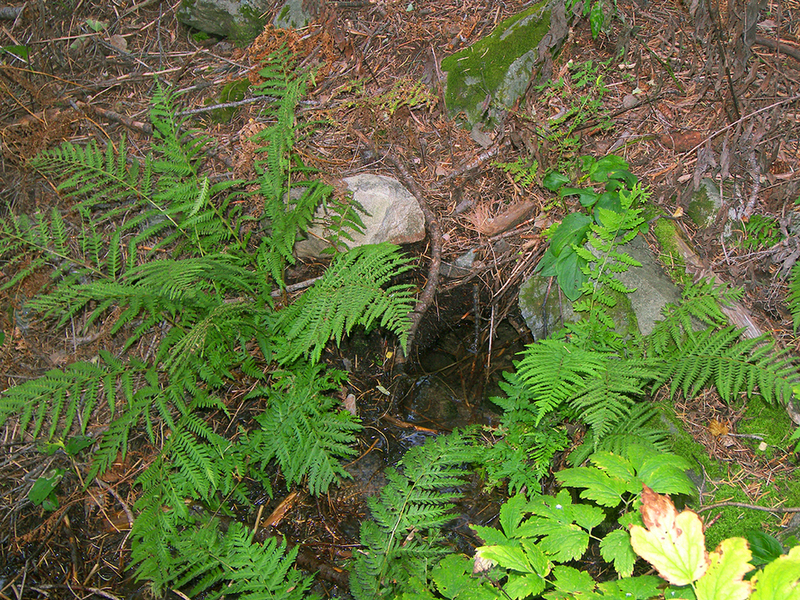 At the bottom of this drainage, a small spring bubbles up from the ground next to the trail. Just beyond the drainage, the trail arrives at a large fallen log, where the first of several switchbacks is encountered. If you hop over the log and contour along the slope for another 300 feet, you'll arrive at an overlook with views of Deadman Peak and the precipitous 10,000 foot mass of Mt. Graham. A shelf like rock provides a pleasant perch to kick back and enjoy the view. 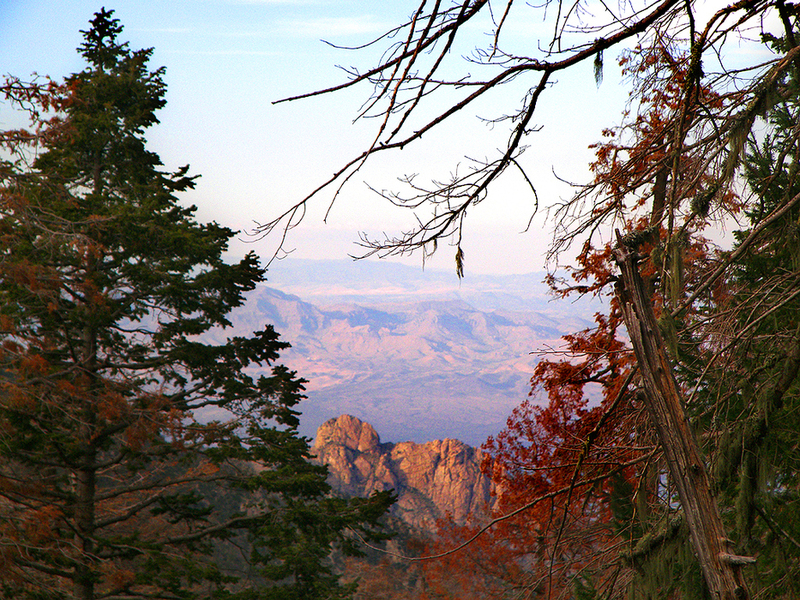 From here, you can hike to Arcadia, Heliograph Peak, or back to Shannon Campground. From Safford, head south on U.S. highway 191. Turn west onto state highway 366 (Swift Trail). Follow highway 366 approximately 21.5 miles to the Shannon Campground turnoff. Turn right and follow the campground road to the end of Shannon Campground, where the Arcadia Trail starts. Follow the faint trail on the left side of the restroom building.